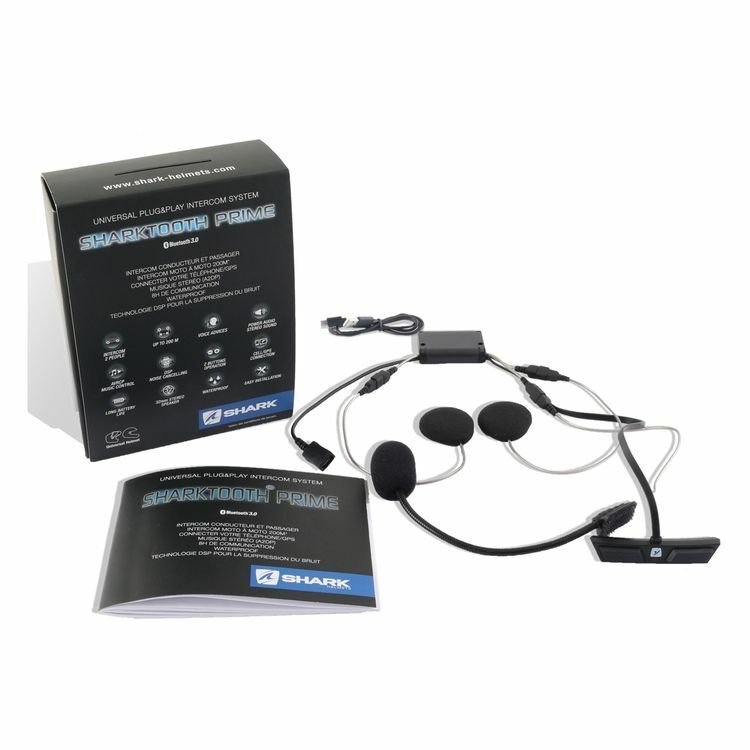 The Shark Sharktooth Prime Bluetooth Communicator is a fully integrated Bluetooth solution for Shark helmets. An update over the original Sharktooth, the Shark tooth Prime features Bluetooth 3.0, 8 hours of battery life and a streamlined design for better looks and aerodynamics. Sharktooth Prime is able to intercom with up to two riders at a distance of 200m and includes a universal intercom feature in order to connect with other manufacturer devices. The Sharktooth Prime is compatible with Shark helmets that were previously compatible with the original Sharktooth system.